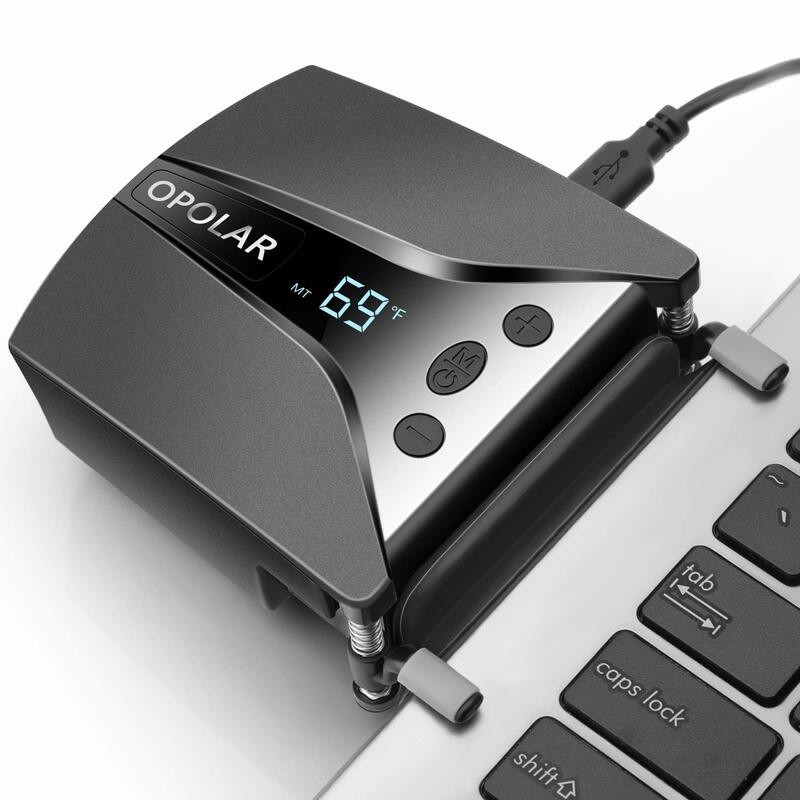 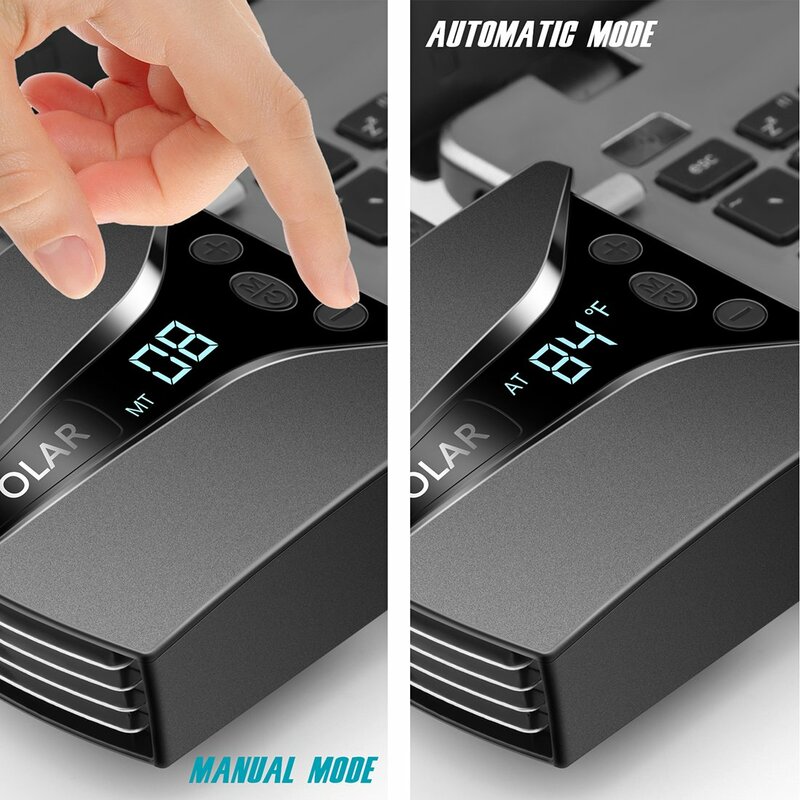 New model: updated LED screen dynamically displays the air temperature from your laptop vent and the working modes, 13 speeds to manage the airflow and noise; quiet operation in auto mode and max. 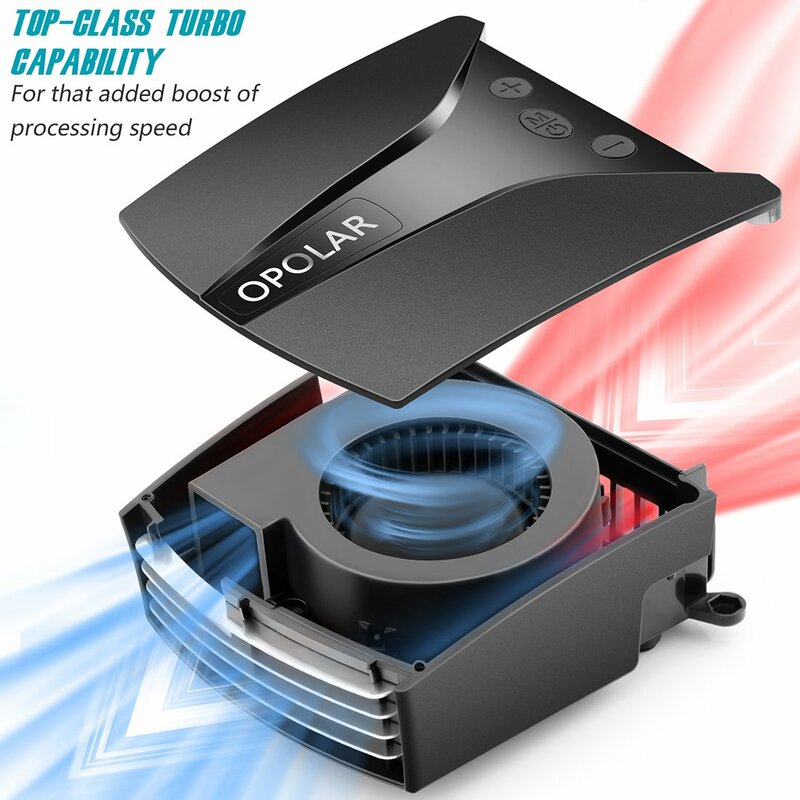 Noise is less than 70dBm. 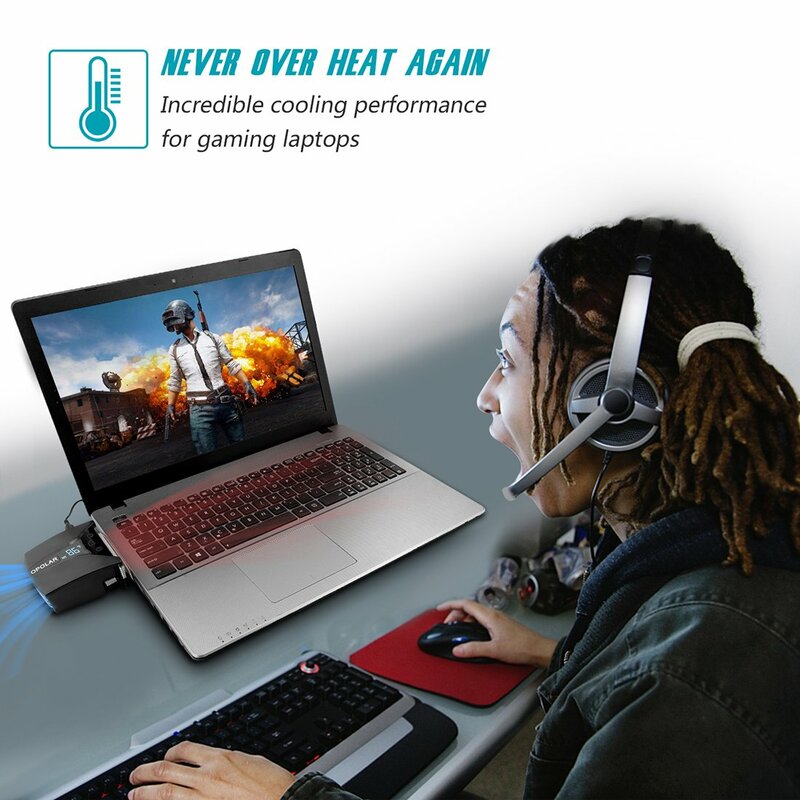 Designed for notebook Computer with air vents on both sides or rear, ideal for gaming laptops or systems that Tax the CPU. 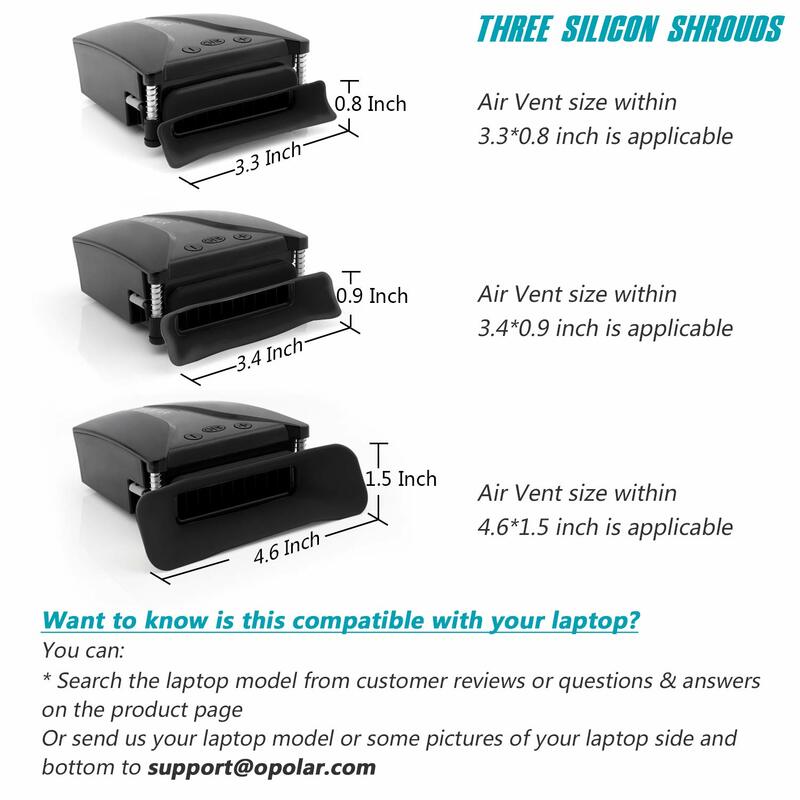 Not recommended for MacBook or other ultrathin notebooks thinner than 0.4inch. 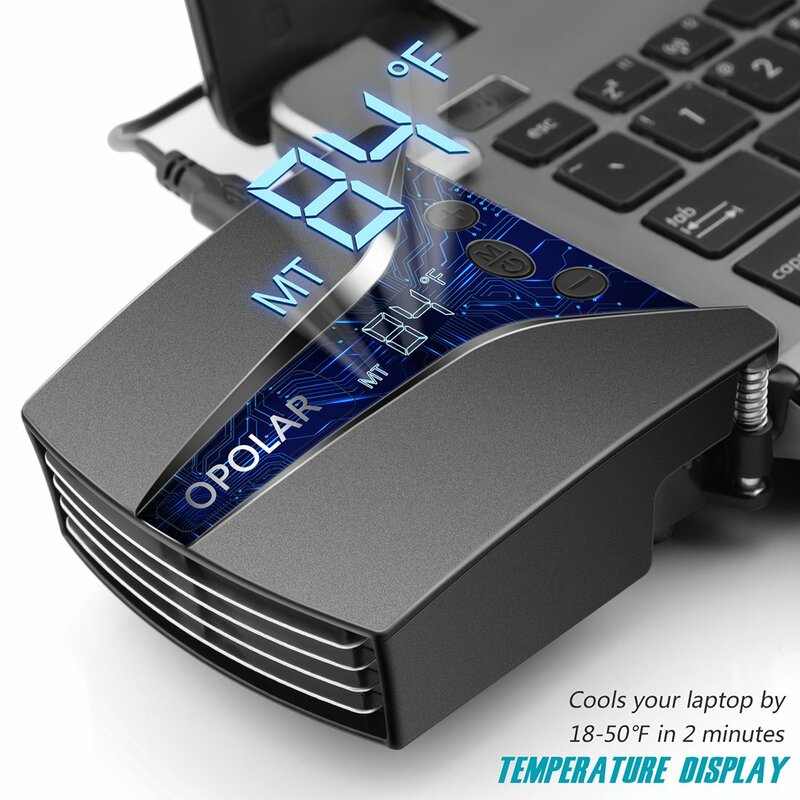 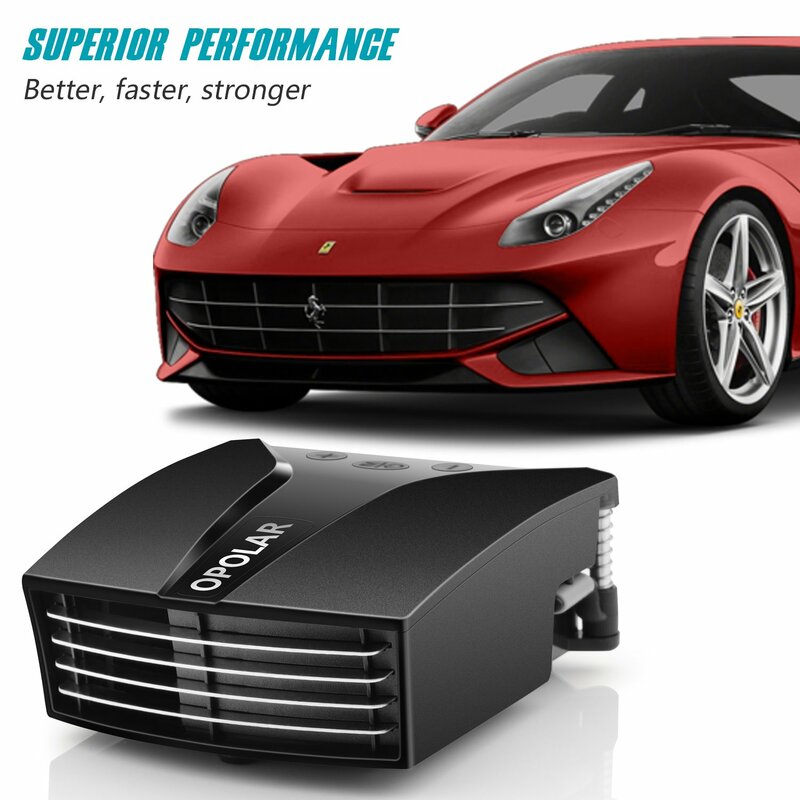 The best cooler (2600-5000rpm) TO ease heat dissipation in laptops, rapidly reduce both surface and internal temperature by 18 to 50 F degrees in minutes which is far better than cooling pads.